Christian-based Finance & Debt Program Offering Industry Secrets From 40-year Banking And Credit Industry Veteran. 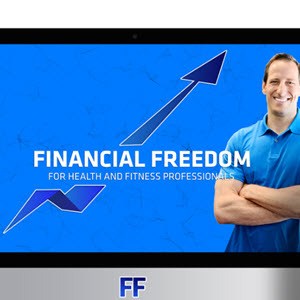 Get Out Of Debt Forever & Unlock The Secrets To Financial Freedom. 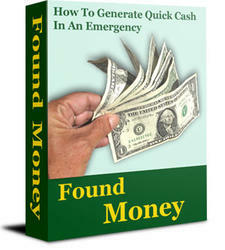 Inside, you'll discover nuggets of financial strategies things like. 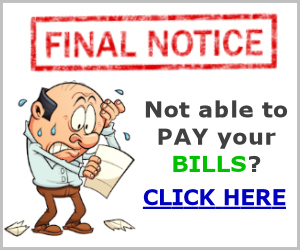 Critical debt free financial advice to permanently eliminate credit card and other debt. The simple life formula for achieving personal financial success. A key element for reducing stress. How to avoid the number one cause of divorce. How to join the 4% of Americans who don't worry about money. Discover the human characteristic that can drastically change your life forever. How to drive a debt free car and still put money in the bank. Learn life's greatest mystery. Understand the key components for financial survival. Pay off a mortgage early with the money you currently earn. Live a treasured lifestyle by adopting the 10-10-80 formula. The next step in preparing the setup is to take explicitly into account the method of financing and associated annual costs. Debt service payments may include annual payments on a variety of debt instruments, including mortgage loans, ground leases, master leases, leasehold mortgages, and deeds of trust. Subtracting these debt service payments from the Free and Clear income yields the net cash available for the property owners, called Cash Flow After Financing (CFAF). For constant payment mortgage loans, interest is not the only factor affecting debt service outlays. For any given interest rate, the longer the term of the loan, the lower will be the required constant payment. Thus the effect of the government guarantee of home mortgages after World War II was to allow lenders at no risk to stretch out the term of the typical mortgage loan. Home-buyers could then buy more expensive houses for the same monthly payments. The table on page 35 illustrates the point. Currently use two 40,000 lines of unsecured credit, which have fixed-interest rates of between 3.4 percent and 4.5 percent. I am able to obtain these low-rate lines of unsecured credit because I have zero consumer debt and a credit score in the top 5 percent. 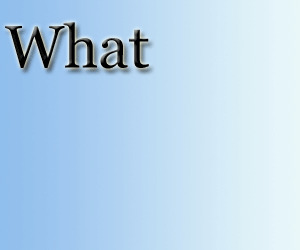 The real beauty in using unsecured lines of credit, instead of secured credit lines such as a home equity line of credit (HELOC), is that you do not have to put your home on the line and pay those exorbitant closing costs that lenders generally charge borrowers for the privilege of doing business with them. In fact, the most that I have ever had to pay when using an unsecured line of credit was a 50 transfer fee. Leverage Most directly owned real estate is purchased with a down payment, often 30 percent or more for investment properties. The balance is financed. In this situation, an investor leverages the cash investment, controlling 100 percent with only 30 percent down. While many consider this a distinct advantage, notably when market values rise quickly, it is also a higher risk. The investor depends on consistent cash flow as a requirement for keeping up with debt service. A one-month vacancy may be serious, and a two- or three-month vacancy fatal if the investor has no cushion to make it through extended vacancy periods. For income property, a frequently used break-even calculation is to determine what percentage occupancy will be required to cover base levels of operating expenses and debt service. This is calculated as follows In this equation, Total Required Income is the sum of operating expenses, real estate taxes, and debt service payments. Break-even calculations are particularly useful in assessing the likelihood of achieving certain milestones and relating the investment to possible consequences of failure. For example, in the rental apartment development discussed above, an increase in debt service constant payments will also increase the break-even occupancy, and therefore the risk of operating at a deficit. Thus, in the case of the highest interest rates, the owner must not only accept a lower cash return on equity, but also must accept increased risk. If, on the other hand, he used the 12,000 cash to buy more property, then he could easily have bought four more (based on the same loan-value ratio of 25 percent as with the initial properties in 1960). Thus, his 12,000 could buy him another four properties, adding 36,000 of mortgage debt to his existing 12,000. By today, he would have 2 million of property, and only 48,000 of debt. Real estate investments are financed through a combination of debt and equity capital. The use of debt, or borrowed money, is very important in real estate, and a substantial majority of the new capital flowing into real estate is normally in this form. By year-end 1987, U.S. properties were supporting about 2.75 trillion in mortgage debt. The balance of the property value, of course, represents the owner's equity capital. Write these numbers ( 90,000 mortgage 1,000)( 7.72) 694.80. This is your monthly debt service payment on your first mortgage. 5. Add the amount from Step 2 to the amount from Step 4. Thus, 694.80 + 222.40 917.20. This is your monthly debt service for the first 5 years you own this property. Figure your Net Operating Income BEFORE debt service by subtracting from your Annual Income ( 80,000 for this building) the Annual Expenses ( 41,000 for this property). Thus, 80,000 - 41,000 39,000. 4. Figure your Annual P& I Debt Service Cost. For this building, it is 28,000 per year. 5. Figure your Debt Coverage Ratio by dividing your Net Operating Income by your Annual Debt Service Cost. Or, 39,000 28,000 1.39. This is your Debt Coverage Ratio. Your last easy number for your real estate millions is the Capitalization Rate. This number tells you your percent return on your income BEFORE your P& I debt payments, based on the price you paid for the property. To figure your Capitalization Rate, divide your Annual Operating Income BEFORE Debt Service by what you pay for the property. Thus, if you paid 480,000 for the property discussed above, your Capitalization Rate 39,000 480,000 0.08. Or, multiplying by 100, your Cap Rate 8 percent. The mortgage payment, or debt service, always is included in the expenses of any investment property. If the borrower borrows money with an amortized mortgage, every payment made on that loan is part interest and part principal. (That's what amortized means.) So every time the building's income (in the form of rents and other income) is used to make a mortgage payment, usually monthly, the overall mortgage debt is reduced. There are three basic factors a lender looks at when qualifying someone for a loan credit, income and debt ratio. 1. CREDIT 3. DEBT RATIO The debt ratio looks at how much debt a person has compared to his income. A credit report that shows high credit card balances, car payments and other obligations will seriously affect the tenant's ability to obtain a loan. Lack of knowledge about the local rental market, which results in rental units being rented at below-market rental rates This produces a breakeven cash flow, which is barely enough to pay for maintenance and debt service when the property is at 100 percent occupancy. Any vacancy causes cash flow problems that must be covered by the property owner. 3. Failure to respond to tenants' routine maintenance requests in a timely manner This causes tenant turnover and vacancies, which increases the negative cash flow that the owner must subsidize in order to maintain the property and pay the debt service. The breakeven occupancy rate is the occupancy level at which the property's income will just cover the bills. The bills that must be covered are the debt service and the operating expenses. The ratio appears in Equation 11.8. This tells the investor that the building needs a vacancy rate of 14 or less in order for the before-tax cash flow to be positive because if the vacancy is greater than 14 , the investor won't have enough NOI to cover the debt service and the operating expense. There is no magic number for breakeven occupancy however, the lower this ratio is, the sooner the bills will be covered and the higher the vacancy rate that the building will be able to absorb. The maximum amount that FNMC would provide could be calculated by adding Jeff and Maiy's personal income to the income they planned to receive from rentals, then allocating 28 of that against the total of mortgage debt service payments, real estate taxes and real estate insurance. Furthermore, the bank's appraiser would have to examine the property and satisfy himself that the combined value of the property and any renovations proposed would be 125 of the loan amount. These criteria were quite firm, since most mortgage notes were re-sold by the lender in a secondary market or to Fannie Mae, the Federal National Mortgage Association. These secondary buyers could not, obviously, ascertain the soundness of the notes they bought in bulk unless the primary lender applied a stringent and consistent screening to each individual note. The appraiser may begin by questioning whether current net operating income will be strong enough to cover debt service on a mortgage loan. To determine this, the debt coverage ratio is used. To calculate, net operating income is divided by the amount of debt service to calculate the ratio. For example, when net operating income is 52,800 and annual debt service is 37,896, the debt coverage ratio is This ratio provides a view of the net cash flow after expenses and debt service have been paid. How this compares to similar properties may reveal the relative strength of that cash flow and could affect the appraiser's conclusions concerning value. Cash Flow After financing is the Free and Clear Income less debt service payments Equity Investment is the Asset Cost less the amount borrowed. The Return on Equity is also called the Cash-on-Cash return. Because it measures a return on actual net cash invested, many developers and investors regard this as the most important return measure. This measure should be used with caution, however, because the returns are leveraged. Sadly, 60 to 90 days pass, and the overpriced property doesn't sell. The owners panic. The lawyers are closing in for the kill. But now the listing is stale. To really grab buyer attention requires a severe price cut to maybe 275,000. By this time, though, the unpaid mortgage balance along with missed payments and late fees may total around 300,000. There's no way a sale will clear out the mortgage debt and the sales commission. More often than not, the foreclosure sale date rushes closer like a speeding freight train. Vidual, and that is what you, as a landlord, should consider as well. 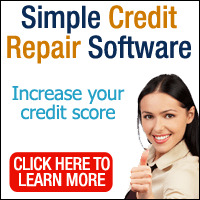 If the credit report shows a history of late payments or, worse, defaults, there is no reason to believe that you, as a creditor, will be treated any differently. In addition, if the applicant has a high amount of debt, his or her income to debt ratio may not allow the applicant to become further leveraged. In this case, that would be the monthly debt to you in the form of rent. The reporting company takes these and the other aspects of a person's credit history and calculates a score. The before-tax cash flow is where financing charges come into play. The annual debt service is the monthly mortgage payment times 12 plus any other financing payments such as contract for deed (land contract) payments. This annual debt service is deducted from the property's NOI resulting in the before-tax cash flow (BTCF). This is, in effect, the amount of money that is left in the checkbook after all the rents have been deposited and after all the expenses and the lender have been paid. Next we have to calculate the monthly mortgage payment, and then we'll multiply that by 12 to get the annual debt service. The mortgage amount is 835,500 x 0.80 668,400. The annual debt service is then 5,182.10 x 12 62,185.18. The before-tax cash flow from operations becomes Equation 11.4. Underwriters check to make sure that a loan meets guidelines for debt ratio, loan-to-value ratio, credit score, employment history, and other qualifications. They also evaluate the loan based on whether they can be bundled with others in a big loan package that can be sold to Fannie Mae, Freddie Mac, or another entity that buys mortgages. Most loan funds are from personal or business savings. Some loan arrangers have sought investors owning homes who had very low debt-to-equity ratios as well as those having debt free residences. By refinancing, they are often able to borrow at a much lower interest rate than they can loan their money at. They are thus able to make money on this interest differential by trading on their equity. Even if their loans are well secured, the investor in such a situation is placed at risk. Should the lien that they hold go into default, they may not have the funds to make their own mortgage payments, which would place their home at risk of foreclosure. As indicated above, the PGI for year 1 is multiplied by 1.03 (3 growth) to obtain the year 2 value of 130,707. The vacancy in year 2 is once again the PGI times the 7 vacancy rate, resulting in a vacancy allowance of 9,149. That value deducted from the PGI leaves an EGI of 121,558 in year 2. Multiplying the first year's operating expenses by 1.02 (1 + 2 growth) results in operating expenses in year 2 of 47,940, and that value deducted from the EGI leaves an NOI of 73,618. The debt service is constant since we are using a fixed-rate constant payment mortgage, so the 62,185 deducted from the NOI leaves a BTCF of 11,432 for year 2. If we now take the principal balance at the end of year 1 minus the principal balance at the end of year 2, that will give us the principal reduction in year 2. The total debt service for the year (which is p + i) minus the principal reduction for the year will give us the total interest paid in year 2. To accomplish this, we go back to Table 11.4 and take out anything that has to do with the mortgage. The debt service will go to zero as will the interest expense. The new amounts appear in Table 11.11. The cash flow from sale calculation from Table 11.5 is also affected, and those new values appear in Table 11.11. You will notice that the before-tax cash flows from operations are approximately 62,000 greater than the before-tax cash flows from Table 11.4. They are greater by the amount of the annual debt service payment that is not being paid in Table 11.10 because we are now free from debt. The after-tax cash flows in Table 11.4 are not greater than those in Table 11.10 by the exact amount of the debt service payment. This is because by using all cash, we have lost the tax benefit of the interest expense deduction. As a result the after-tax cash flows in Table 11.10 are greater by 49,000- 50,000. A common type of loan for the real estate investor or business owner is a stated income loan. This type of loan does not require income verification. Lenders consider the lack of verifiable income to be added risk. The lender will calculate a qualifying debt ratio based on the income that the borrower states on the application. Verification of the source of income is required. Not all stated income loans are eligible to wage earners. Many lenders want stated income borrowers to be self-employed for two years and provide a letter from their CPA confirming this.You can be self-employed simply by filing a Schedule C for two consecutive years. The Schedule C does not need to show income.